A unique approach to clinical data.Q-Stress is designed to provide comprehensive clinical information to meet the ever-changing demands of today’s diverse patient population. A solution-driven design to enhance clinical workflow.Designed by clinicians for clinicians, the powerful user interface, paired with our 24-inch color touchscreen display, works with you as you care for your patients. A connectivity option that’s right for you.From simple connectivity to complete interoperability, Q-Stress offers a variety of integration solutions. *Blood pressure monitor not included, can be added. The Quinton Q-Stress and TM55 treadmill is revolutionizing the way physicians are able to diagnose and increase workflow of patient data. The brand new Q-Stress has been updated with a 24-inch LCD dsiplay (optional touchscreen), optional wireless or wired acquisition module, real-time full disclosure, and standard 12-lead interpretation for adults and pediatrics. The brand new Q-Stress still utilizes Mortara’s prominent VERITAS software to help reduce diagnostic errors and provide accurate interpretation. The new and improved Source Consistency Filter (SCF) was revamped by Mortara to help remove noise and artifact during cardiac stress testing procedures. Also, in the past, full-disclosure was an optional purchase, but Mortara is now including the option at no additional cost. Real-time full disclosure enables the clinician to label, store, print, and review any events during the stress test…on the fly. It will also enable the clinican to capture all data from pre-stress test to the recovery stage without having to cycle back into the full report. One of the biggest upgrades from the older Q-stress models to the current model is the connectivity capabilities. All versions of the Q-stress stress system include basic exporting capabilties such as PDF and XML export. The ability to export PDF/XML will eventually reduce total costs by eliminating the need to use chart paper. The PDF/XML exporting feature will also allow easy access from your healthcare professionals within your IT network. Overall, the brand new Quinton Q-Stress and TM55 treadmill is an ideal solution for all of your diagnostic cardiology needs. The Quinton TM55 Treadmill is the best choice for a complete stress test system. It integrates seamlessly with the Quinton Q-Stress to allow a multitude of features. This system is ultra quiet and easy to use, with a rapid-deceleration option. 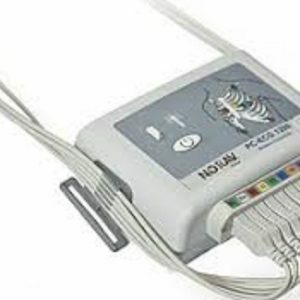 It comes with a digitally-controlled “Ultradrive” system that is extremely reliable even after repeated use. This treadmill meets all major safety requirements. Quinton Q-Stress and TM55 Treadmill Configurations Available: Prices Vary, please contact for a Quote. 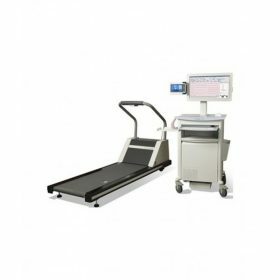 QS6-BLXC1:Base with Treadmill: Q-Stress exercise stress system with configured CPU, isolation transformer, 24″ standard LCD, AM12Q, 43” pinch AHA cable, Z200+ writer with 2 packs of paper, premium stress cart, PDF/XML connectivity, and TM55 Low Voltage treadmill with Emergency Stop Button (without handrails). 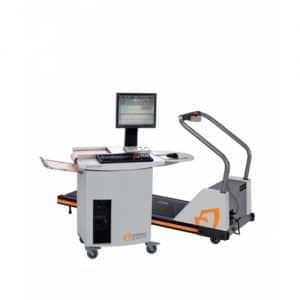 QS6-MLTC1: Mid with Treadmill: Q-Stress exercise stress system with configured CPU, isolation transformer, 24″ standard LCD, AM12Q, 43″ pinch AHA cable, Trigger Module for TTL/analog output, Z200+ writer with 2 packs of paper, premium stress cart, PDF/XML connectivity, and TM55 Low Voltage treadmill with Emergency Stop Button (without handrails). 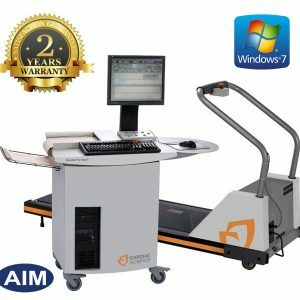 QS6-ATTD1: Pro with Touch Monitor and Treadmill: Q-Stress exercise stress system with configured CPU, isolation transformer, 24″ Touch Monitor, AM12Q, 43″ pinch AHA cable, Trigger Module for TTL/analog output, Z200+ writer with 2 packs of paper, premium stress cart, DICOM enabled (additional project management fees apply) with PDF/XML connectivity, and TM55 Low Voltage treadmill with Emergency Stop Button (without handrails).